A customer from the military industry came to Plymouth Spring Company, Inc. to manufacture stainless steel buckle springs. To fill the yearly order of 2,400,000 million springs, we began by using a CNC machine to coil, cut and bend the spring’s tab. 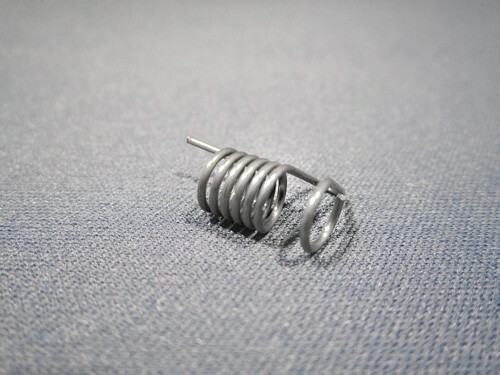 Then we stress relieved the .660″ long buckle spring which had a wire diameter of .031″, and an inside diameter of .290″. After a thorough dimensional inspection, we sent the stainless steel buckle springs to the company’s Waterbury, Connecticut location. 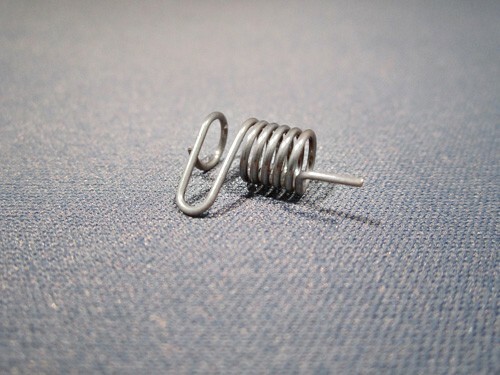 For more information about the manufacturing of this buckle spring, please see the details below. If you want to learn about the rest of our outstanding services, please contact Plymouth Spring, today. 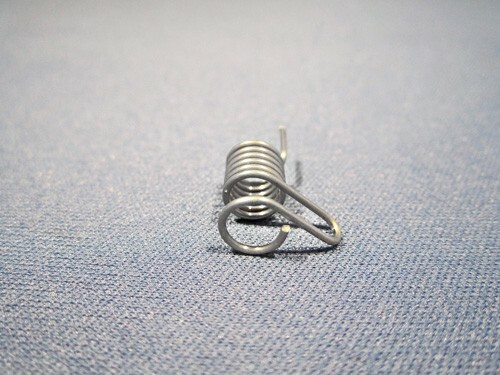 These Stainless Steel Buckle Springs Are Used Within a Buckle Application.